Biography. : Talented and enthusiastic Adrian Morton has been sharing his love for music with audiences for over 10 years. 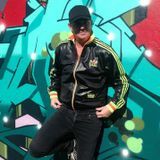 Living in Sydney, Australia, the only career path Adrian ever envisioned was to be immersed in dance music, from producing to entertaining party goers at clubs & festivals in Sydney, Ibiza and to 10,000 people at the notorious Full Moon Party in Koh Phangan, Thailand. Adrian has signed with a label and with a chart topping hit under his belt, Adrian has recently been awarded ‘Future Producer Of The Week’ by Australia’s number one dance music radio show ‘The Drop’.